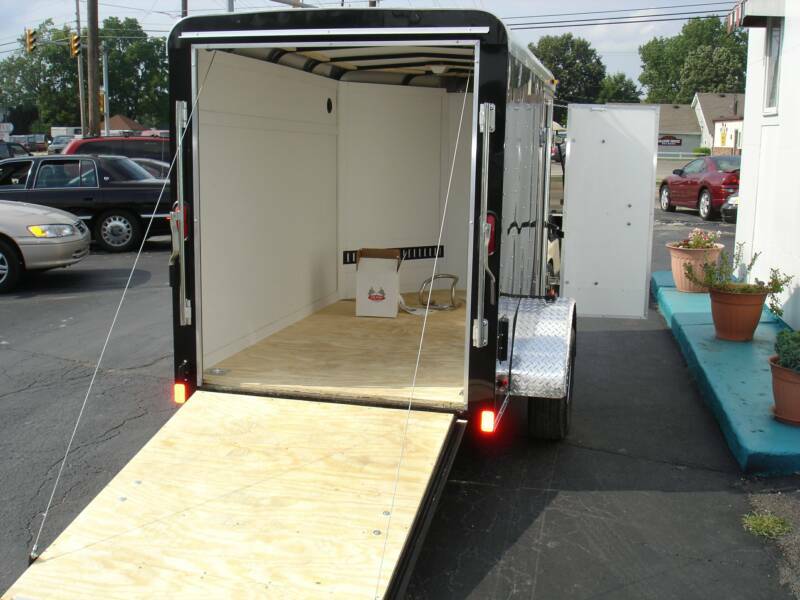 With Package and Ramp door. 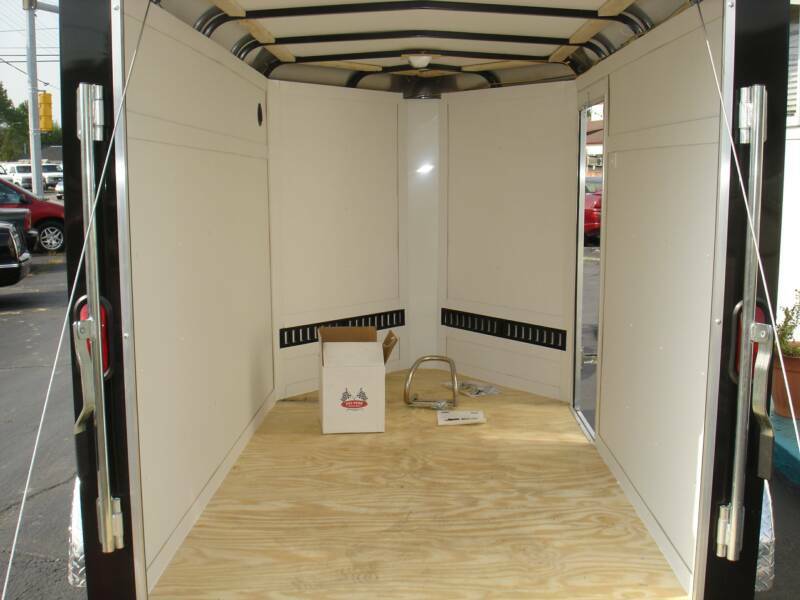 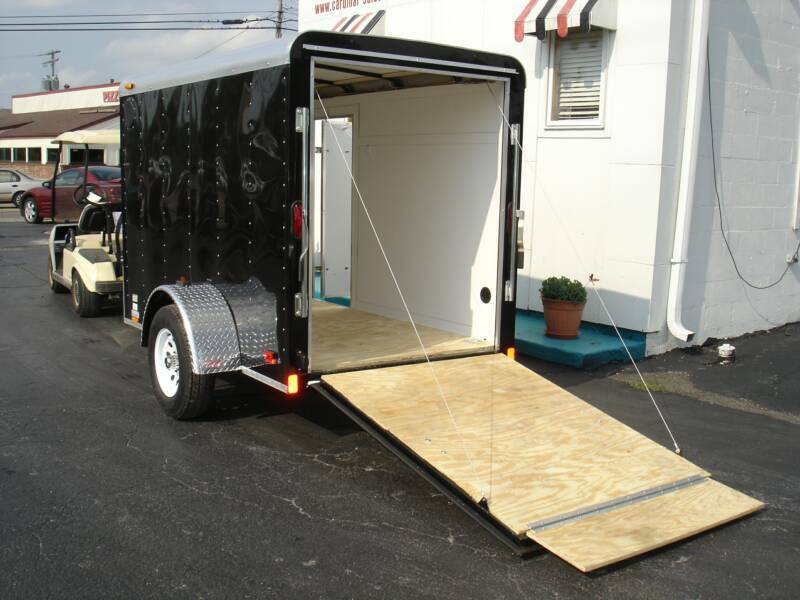 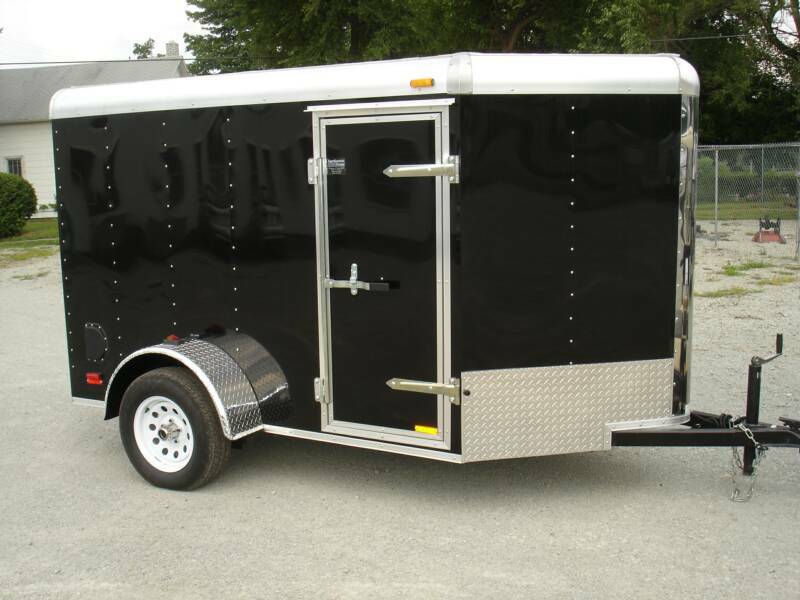 Torsion Axle, 24" Side door, Ramp Door, 2 lights, 1 Switch, White Walls, 2 Plastic Flow Through Vents, (2) 3' Pieces of E- Track in front of Wedge, 2 5000lb D-Rings, (1) Aluminum Wheel Chock ( loose) $2599. 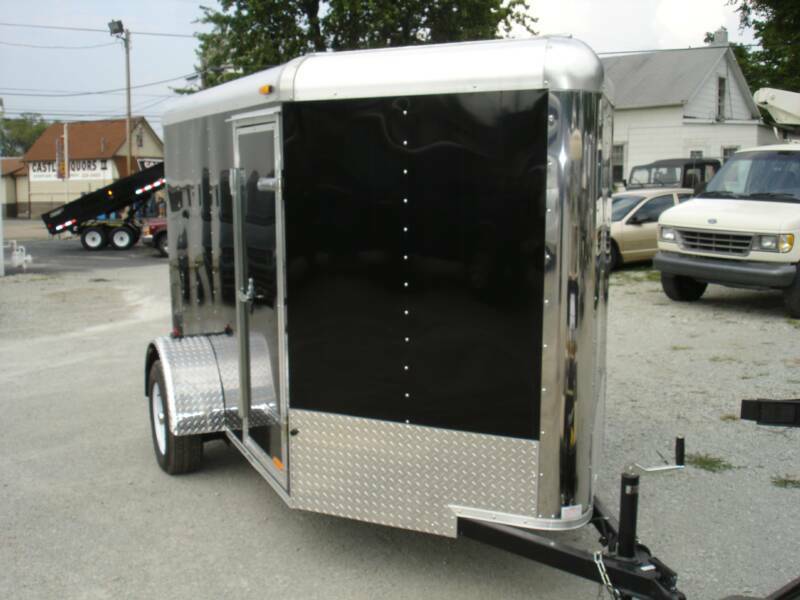 Continental Cargo 7x18 Aluminum Frame Car Hauler.